At some point I was added as a moderator on the LightSwitch General forum. A Microsoft Community Contributor or MCC is an individual who dedicates much of their time and energy to online technical communities such as Microsoft Answers, MSDN, and TechNet. Microsoft reviews the contributions of such individuals towards its communities and if found suitable, awards them the MCC status. The benefit earns you recognition as a Microsoft Community Contributor and is noticeable as an award status in your profile on the online community (MSDN, TechNet, Answers). The recognition, however, is for a limited period of 90 days only. I was active in the LightSwitch community since the early Beta 1/2 days. In 2011, I had the honor of receiving one of the first Microsoft Community Contributor awards for my contributions to the LightSwitch Community, then again in 2012 as a 'badge' as opposed to an award. After 2012 the MCC Award seemed to just disappear, as so many Microsoft programs seem to do, unfortunately without any explanation. Microsoft Visual Studio LightSwitch 2011 is a rapid application deployment tool that lets power users and administrators build data-centric business applications for the desktop, cloud, and web in just a few clicks, with no code required. how do you design complex screens? how do you query data using LINQ and other syntax structures? how do you secure your application? 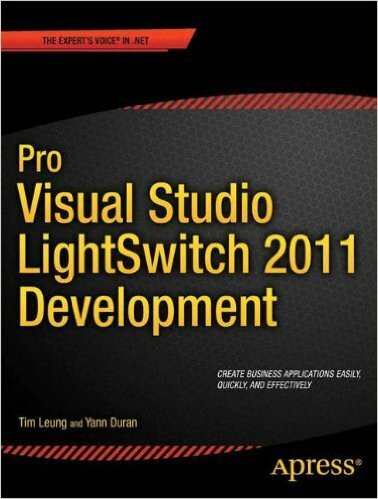 Pro Visual Studio LightSwitch 2011 Development answers these questions and more as authors Tim Leung and Yann Duran cover this breakthrough product and its operations and structure under the covers. 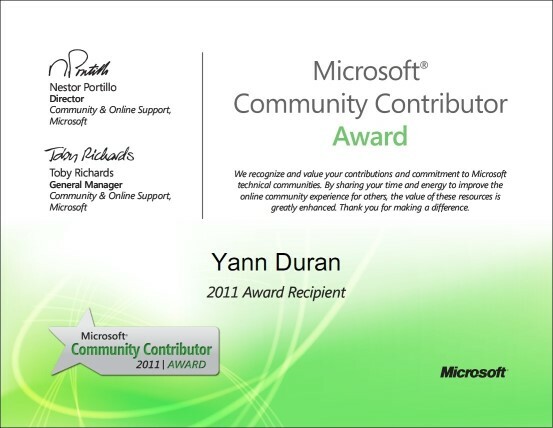 Both Yann and Tim were awarded Microsoft 2011 Community Contributor Awards for their LightSwitch expertise and support. For serious developers building, enhancing and deploying advanced business applications using LightSwitch, Pro Visual Studio LightSwitch 2011 Development is the guide for going beyond the "click-and-you're-done" interface, while still maintaining the elegance and convenience of rapid application development. Copyright © 2017 Luminous Software Solutions – Documentation built with MkDocs using the Material theme.